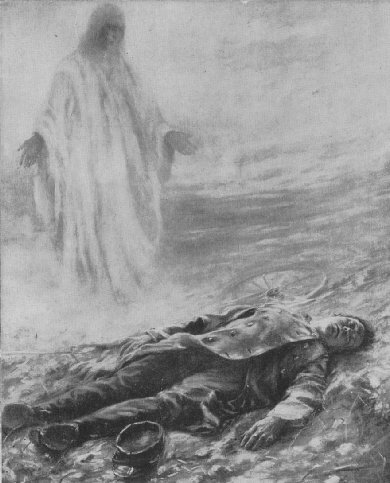 (Upper left) "Come Unto Me" from a painting by C. Arnold Slade. (Upper right) Capt. 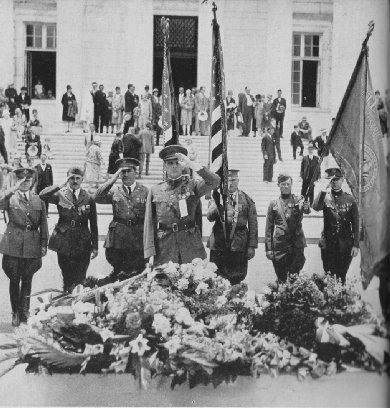 Fred Kochli, D.S.C., with group of his disabled comrades at the tomb of the Unknown Soldier. 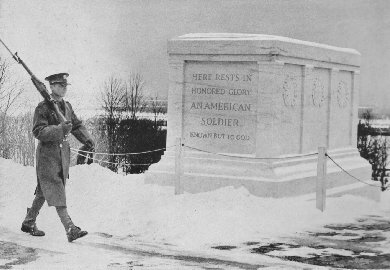 (Left) New tomb of the Unknown Soldier, Arlington Cemetery, Virginia. These words were spoken by Commander Murphy only a few months before he was laid to rest in Arlington Cemetery, in the vale immediately in front of the tomb of the Unknown Soldier.